What is your Identity Worth to You? Your identity has quite a lot of value, especially in the wrong hands. 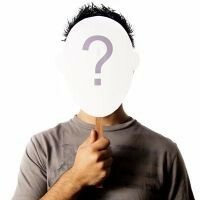 Security firm ZoneAlarm put together some numbers in 2011 concerning identity fraud, and it even shocked us. Let's talk about a few of these statistics and what it means. Hackers can pick up credentials via public Wi-Fi and public PCs. Credit Card Skimming - a process that involves your credit card data being stolen when your credit card is swiped at a standard ATM or credit card terminal. Selling or discarding used computer equipment that isn't properly wiped can expose personal information. Hackers can infiltrate networks and databases. Dumpster diving and paper mail theft. In almost half of reported identity theft cases, the victim knew the criminal. What do you do if your identity is stolen? Almost half of all reports of identity frauds are discovered by the user first, although banks and credit card companies have methods in place to stay on top of it as well. If your financial credentials are stolen, you need to contact your bank and/or credit card companies immediately, both by phone and in writing. You'll want to file a police report with details about where your identity was stolen, what you believe was or could have been stolen, and documented proof of the crime. You don't want to risk identity fraud. Monitor your credit reports closely, shred sensitive mail and documents before throwing them away, and ensure your computers and network are running latest security updates and antivirus, as well as other security measures. For a complete review of your security, contact us at (866) 326-9090 and we will help pinpoint vulnerabilities and fill in the cracks before a costly event occurs. Hi-Tech has been serving theIT needs of Corporate, State and Local Government, and Education organizations since 1987. Providing high quality name brand products and IT Support services such as technical helpdesk support, computer support, and consulting. 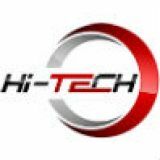 Wednesday, August 16 2017 Hi-Tech launches new website! Tuesday, August 08 2017 What is your Identity Worth to You? Learn more about what Hi-Tech can do for your business. Copyright Hi-Tech. All Rights Reserved.